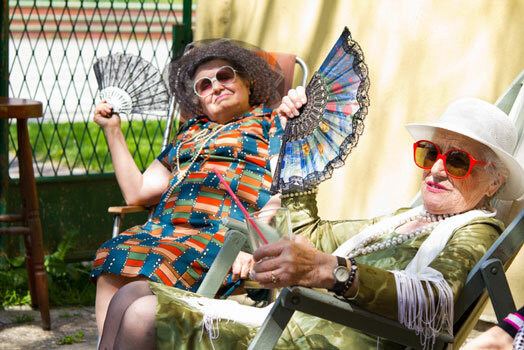 Seniors can be affected by heat-related issues faster and with great consequence than younger folks. So it’s important for them to be aware and take precautions. With summer in full swing, temperatures are on the rise. For the most part, we enjoy mild summers in the Pacific Northwest. And we take advantage of the few months of sunshine we get. But, there are times when the thermometer climbs past the 80’s and into the 90’s – sometimes even triple digits. When the weather gets that warm, and sticks around for a few days, it’s time to take the proper precautions. While many of these suggestions work for everyone, they are even more important for our older loved ones. Seniors can suffer from poor circulation and inefficient sweat glands. The inability to sweat due to certain medications, and other issues make sweltering heat more of an issue. Seniors can be affected by heat-related issues faster and with great consequence than younger folks. So it’s important for them to be aware and take precautions. Hydration – drinking plenty of water is a good idea every day, but even more so during warmer days. On the flip side, avoid caffeine or alcoholic drinks as those tend to dehydrate the body. Wear Proper Clothes – Obviously, it doesn’t make sense to get all bundled up to go out in the middle of summer. While it is still a good idea to cover up as much as possible with a long-sleeved shirt, pants, or long dress, make sure the clothes are made of lighter material and are a little loose fitting. Adding a large-brimmed hat will help protect your skin from the sun as well. Keep Cool At Home – If your home is not equipped with air conditioning, and you know it will be a warm day, open the windows to your home in the morning while it is still cool. As the temperature begins to rise, close the windows and shades to keep the cool air trapped in your home. In the evening, open everything up again. For safety sake, close windows at night, although second-story windows may be left open. Keep Cool Away from Home – When a string of 90-degree heat hits, it can be difficult to keep the home cool. It’s a good idea to find air conditioning elsewhere. In times of extreme heat, cooling stations are often set up around Clark County. Or you could visit the mall, go to a movie theater, or find a community center where you can spend a few hours during the warmest parts of the day. Pay Attention to Your Body – If you begin to feel faint, dizzy, or nauseous, you may be getting heat stroke. Get inside as soon as possible or call someone for help. These are just a few ways to stay safe in the summer heat. It’s important for family members to check on older loved ones as well to make sure they are taking the proper precautions. Stopping by for a visit or even a phone call can make sure a senior is in good spirits and taking care of themselves. One more thing to keep note of – higher temperatures can also affect pets, sometimes more dramatically. Many of the above steps – making sure plenty of water is available, staying out of the heat, and keeping the house cool can keep things comfortable for our furry friends as well. If you must leave the house, keep your pets at home. Leaving your dog in the car while you walk the mall or take in a movie for a few hours is a death sentence for our four-legged friends. There is a lot to be aware of when the temperature goes up and up and up. But, it doesn’t mean seniors can’t enjoy the sunny days. Using the above tips, and a little common sense, can make a summer day enjoyable for all.